Your holiday party only happens once a year. To help usher in the New Year as smoothly as possible, pick the highest quality vendors available. 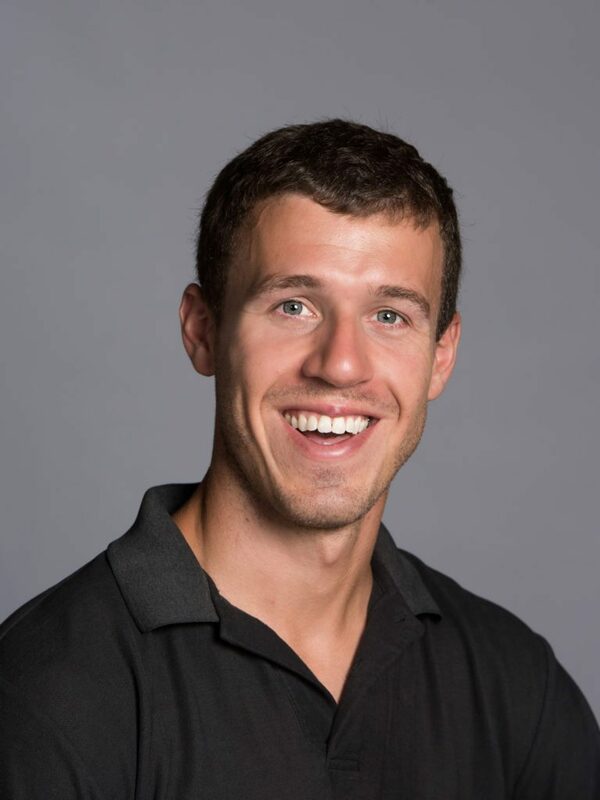 There are definite variations in the quality of photos produced by different photo booth providers — corporate events require a higher level of service than the average wedding photo booth company is used to providing. 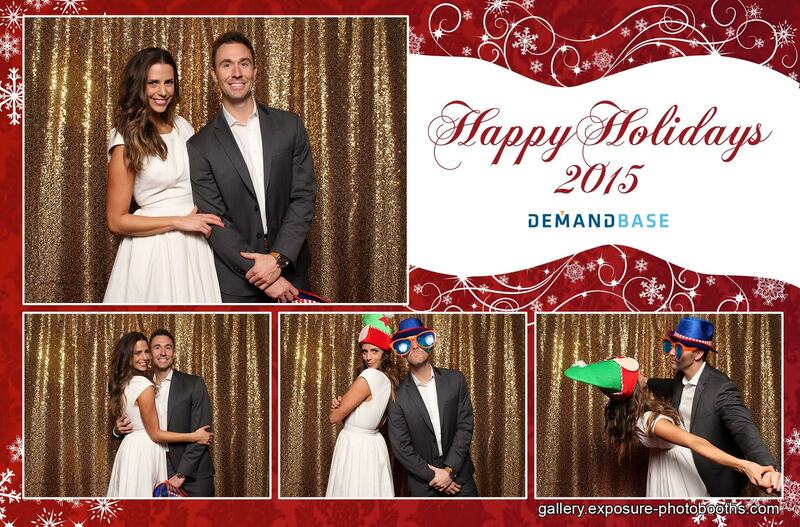 Follow the tips below to ensure the best holiday party photo booth experience possible. Because of the various vendors, musicians, catering requirements and changing timelines involved in a large party, coordinating with your photo booth vendor sometimes gets swept under the rug. Make sure to keep them in the loop about any last minute changes so your professional photo booth can be installed and ready to go the moment your guests begin walking in the door! A modern, open-air photo booth requires much more equipment than many event planners anticipate, and you don’t want them dragging all that gear through a room full of guests. The majority of photo booth operators in the market focus their body of work on the wedding industry. While it is a great honor to be a part of a couple’s wedding day, the wedding industry is very competitive and thus, cheaply priced. One of the most common ways to lower the cost of a photo booth service is to only provide a single print for each photo session. 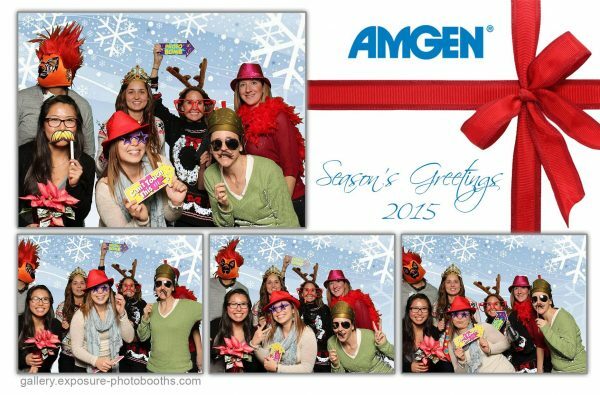 But what happens when 15 coworkers pile into the photo booth and only one print is available for all those guests? Higher end photo booth providers offer free reprints on demand for all their corporate events. Never let your party attendees be disappointed by booking a photo booth vendor that only provides one print per session. There are many small, part-time photo booth providers on the market. They usually operate out of a garage, and mostly work weddings, birthday parties and other smaller events. You want to hire a professional-grade photo booth company with major corporate clients. A larger company is going to have the capacity to provide backup gear in case of equipment failure at or before your event. A smaller “mom and pop” size photo booth company will not have additional gear available in this instance. Make sure to ask your potential photo booth provider about their backup capacity in terms of both equipment and personnel. Your holiday party only comes once a year; you have a lot riding on this single event. Don’t let a cheap photo booth experience detract from the rest of your event and your hard work and planning. Most of the cheaper photo booths out there are really only a small dollar amount less than a top-level company would charge. It’s not worth saving a little bit of money if your vendor arrives late, is unprofessional, or even worse, cancels on you because they found a different client who will pay more for that event date. Quality providers have a level of professionalism and service that earns them a high retention rate among corporate clients. When you find a provider like that, hold on and make sure that’s your first call each time. Make sure to book a photo booth built by professional photographers, not just any average entrepreneur who decided that offering a photo booth was cheap and easy. Many photo booth providers have no professional photography experience, and their photo quality in terms of lighting, color correctness and warm skin tones suffers because of this. Looking to book a photo booth company trusted by major corporate clients such as Google, Adobe, AT&T and Amgen? Contact Ross Andrews and the team at Exposure Photo Booths and don’t leave your party to chance.